For this entry we will take a look at the trousers that made up all of Sean Connery’s Anthony Sinclair suits from Dr. No to You Only Live Twice. These trousers all have double forward pleats, the kind that open towards the fly. These are typical of English bespoke suits as opposed to the reverse pleats most people are accustomed to these days, which open towards the pockets. The pleats aren’t seen when the jacket is buttoned and serve to make the trousers more comfortable and drape better. The trousers have a long rise and sit at Connery’s natural waist. Suit trousers that sit at the waist rather than the hips help create a more unified looks. The suit jacket should flow into the trousers, and there should never be a gap showing shirt or tie between the jacket button and the top of the trousers. The legs are tapered down to the narrow bottom for a military-like appearance and are finished at the bottom with turn-ups (cuffs) to weigh the trousers down and keep them looking neat. Connery never wears a belt with his suits, as that would break the flow from the top to bottom of the suit. But he doesn’t wear braces (suspenders) either. Instead his trousers featured something known as “Daks tops,” invented by Simpsons of Piccadilly. With Daks tops the waist is adjusted by tabs on each side that button, and the tabs are connected to an elastic band that runs through a tunnel across to the back of the waist. With these tabs the waist can fit very precisely, and the elastic allows adjustment throughout the day as the waist expands and contracts. Most button side-adjusters have only two buttons on each side, but Connery’s trousers have three. He also uses one of the buttons on the left side of the trousers to secure his shoulder holster. The waistband is closed at the front with an extended tab that hooks in rather than buttons. An extended waistband keeps the front of the trousers straight and the absence of a button on the front looks cleaner. The trousers have on-seam side pockets and one rear button-through pocket on the right. The rear pocket would be placed on the left for those left-handed, and thus most ready-to-wear trousers have rear pockets on both sides. The trousers pictured above and below are both from a grey glen plaid suit worn in Dr. No. 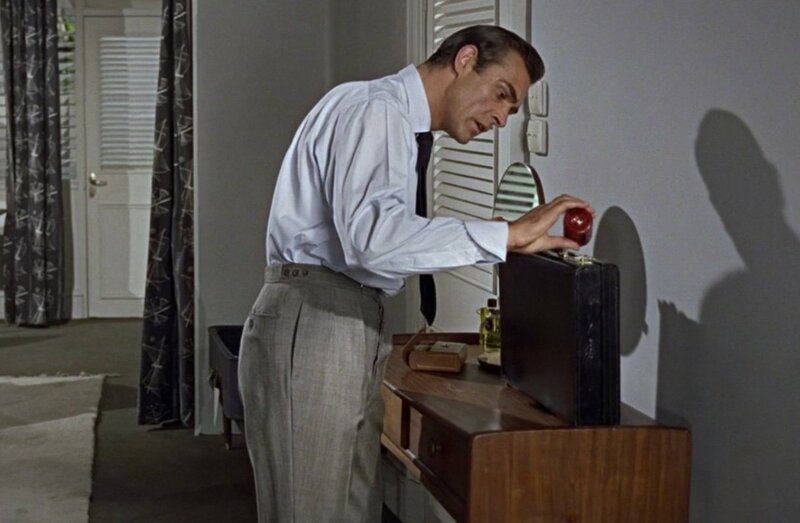 Read more about Sean Connery’s suit trousers in a comparison between the suit trousers in Dr. No and From Russia with Love. Another interesting idea would be a list cataloguing every piece he wears in the movies. Bond never has more than a handful of costume changes in each film, but it would be interesting to see which pieces, if any, he re-uses. There are a few pieces that Connery has used on multiple occasions. 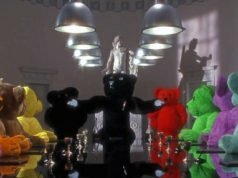 Tomorrow night I will cover a unique item worn in multiple movies. Great writing on the subject. Not before time too. I believe Gold Finger wore Huntsman suits? 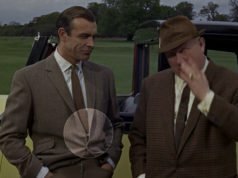 Where did you hear that Goldfinger wore Huntsman? Just because he wore a 1-button suit that doesn't mean it came from Huntsman. 1-button suits were popular in the 1960s. Interesting website, you clearly know your clothes and have a passion for them. Full credit to you for focussing on a well known and loved subject [Bond] to make it accessible for the expert and layman alike. Hello Matt, I’m a big fan of the blog! I have a Question about Connery & Craig’s trousers. 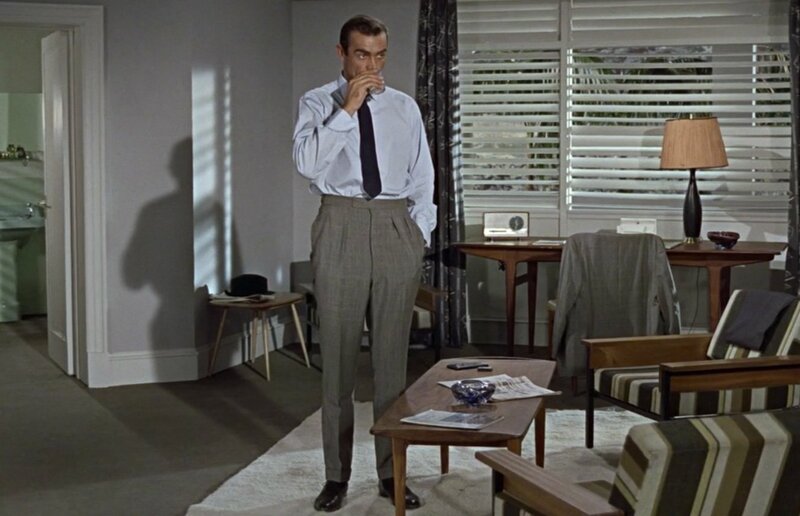 In Dr. No and pretty much through out his films Connery had a tapered leg, about how many inches do you think his trouser opening was? I was thinking about a 7.75 Inch Bottom? And I have the same question about Craig’s trousers in Quantum of solace. Both trousers seemed tapered and hand perfectly. What do you think both the size of the trouser opening was?… Obviously it’s hard to get and exact number. Connery’s trousers sit over the shoes about the same way as my 8.5″ trousers do, though they could be as narrow as 8″. I don’t think they are narrower than that. The Quantum trousers are about the same. Matt, I am sorry if it’s a bit out of place here, but I really need some help. In your opinion, how much waist can a good tailor take in from a pair of trousers ? Is it possible to take more than 2 inches, even if that means more cost and more work for the tailor ? I don’t mind having all the trousers recut if it’s done well. More than two inches and the trousers most likely need a recut. That’ll be pushing it, as the rear pockets will end up very close together. If you’re going to wear braces (suspenders) you can wear them a touch looser, but that likely means a higher rise and pleats, which are not easy to find off-the-rack at the moment. Matt, is 10 inches enough for a medium trousers rise, or is that more of a low rise ? That’s on the border. It depends on your height. That would be pretty low for Connery. I am about 6 feet tall. Do you think it’s correct ? I thought maybe letting out some of the extra fabric at the crotch would allow the trousers to be worn, perhaps not one inch higher but one or two cm higher. 10″ is about a medium rise for you. Letting out the crotch may allow you to wear the trousers higher, though it could cause some fit problems. He often wears belted, pleated trousers in real life. I don’t think he cares much about his clothes and gets whatever he can. Hey , here’s an idea. You could do a post one day , comparing Every Version of James Bond with the way their actor dresses in real life. Take Moore for example. His Version of James Bond wore blue blazers , something Moore was quite fond of , in real life. What do you think ? I don’t think there’s a consistent way to do this, since the Bond actors’ dress vary so much. Getting whatever you can get in Connery’s position means getting some excellent clothes at times! You mean that he just grabbed and kept his film wardrobes and therefore is well-dressed from time to time, but rather by chance? 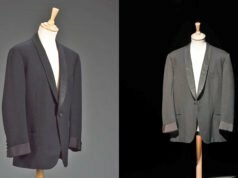 It’s true that he is known for keeping his film clothes, but having your (real-life) clothes tailored (which he still does today – you told us he was in contact with David Mason) means a conscious deliberate effort in order to getting dressed well. I think it is not by chance that quite regularly (and not only every now and then) he still looks stylish.